The Isles of Scilly (/ˈsɪli/; Cornish: Syllan or Enesek Syllan) is an archipelago off the southwestern tip of Cornwall. One of the islands, St Agnes, is the most southerly point in both England and the United Kingdom, being over 4 miles (6.4 km) further south than the most southerly point of the British mainland at Lizard Point. The adjective “Scillonian” is sometimes used for people or things related to the archipelago. The Duchy of Cornwall owns most of the freehold land on the islands. Tourism is a major part of the local economy, along with agriculture—particularly the production of cut flowers. The islands may correspond to the Cassiterides (Tin Isles) visited by the Phoenicians and mentioned by the Greeks. However, the archipelago itself does not contain much tin. It is likely that until relatively recent times the islands were much larger and perhaps joined together into one island named Ennor. Rising sea levels flooded the central plain around 400–500 AD, forming the current 55 islands and islets, if an island is defined as “land surrounded by water at high tide and supporting land vegetation”. The word Ennor is a contraction of the Old Cornish En Noer (Moer, mutated to Noer), meaning ‘the land’ or the ‘great island’. 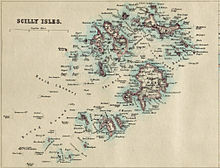 A description written during Roman times designates Scilly “Scillonia insula” in the singular, indicating either a single island or an island much bigger than any of the others. Remains of a prehistoric farm have been found on Nornour, which is now a small rocky skerry far too small for farming. 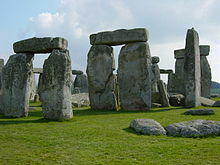 There once was an Iron Age Britain community here that extended into Roman times. This community was likely formed by immigrants from Brittany, probably the Veneti who were active in the tin trade that originated in mining activity in Cornwall and Devon. Offshore, midway between Land’s End and the Isles of Scilly, is the supposed location of the mythical lost land of Lyonesse, referred to in Arthurian literature, of which Tristan is said to have been a prince. This may be a folk memory of inundated lands, but this legend is also common among the Brythonic peoples; the legend of Ys is a parallel and cognate legend in Brittany as is that of Cantre’r Gwaelod in Wales. At the time of King Cnut, the Isles of Scilly fell outside England’s rule, as did Cornwall and Wales. Thou wilt become a renowned king, and do celebrated deeds. Many men wilt thou bring to faith and baptism, and both to thy own and others’ good; and that thou mayst have no doubt of the truth of this answer, listen to these tokens. When thou comest to thy ships many of thy people will conspire against thee, and then a battle will follow in which many of thy men will fall, and thou wilt be wounded almost to death, and carried upon a shield to thy ship; yet after seven days thou shalt be well of thy wounds, and immediately thou shalt let thyself be baptised. With the Norman Conquest, the Isles of Scilly came more under centralised control. About 20 years later, the Domesday survey was conducted. The islands would have formed part of the “Exeter Domesday” circuit, which included Cornwall, Devon, Dorset, Somerset, and Wiltshire. …the three chiefs—Swein, Þorbjörn and Eirik—went out on a plundering expedition. They went first to the Suðreyar [Hebrides], and all along the west to the Syllingar, where they gained a great victory in Maríuhöfn on Columba’s-mass [9 June], and took much booty. Then they returned to the Orkneys. “Maríuhöfn” literally means “Mary’s Harbour/Haven”. The name does not make it clear if it referred to a harbour on a larger island than today’s St Mary’s, or a whole island. During the English Civil War, the Parliamentarians captured the isles, only to see their garrison mutiny and return the isles to the Royalists. By 1651 the Royalist governor, Sir John Grenville, was using the islands as a base for privateering raids on Commonwealth and Dutch shipping. The Dutch admiral Maarten Tromp sailed to the isles and on arriving on 30 May 1651 demanded compensation. In the absence of compensation or a satisfactory reply, he declared war on England in June. It was during this period that the Three Hundred and Thirty Five Years’ War started between the isles and the Netherlands. In June 1651, Admiral Robert Blake recaptured the isles for the Parliamentarians. Blake’s initial attack on Old Grimsby failed, but the next attacks succeeded in taking Tresco and Bryher. Blake placed a battery on Tresco to fire on St Mary’s, but one of the guns exploded, killing its crew and injuring Blake. A second battery proved more successful. Subsequently, Grenville and Blake negotiated terms that permitted the Royalists to surrender honourably. The Parliamentary forces then set to fortifying the islands. They built Cromwell’s Castle—a gun platform on the west side of Tresco—using materials scavenged from an earlier gun platform further up the hill. Although this poorly sited earlier platform dated back to the 1550s, it is now referred to as King Charles’s Castle. 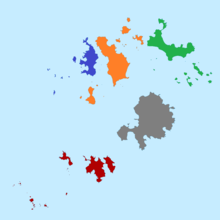 The five wards (which are also the civil parishes) of the Isles of Scilly; red is St Agnes, blue is Bryher, orange is Tresco, green is St Martin’s, and grey is St Mary’s. The Isles of Scilly form an archipelago of five inhabited islands (six if Gugh is counted separately from St Agnes) and numerous other small rocky islets (around 140 in total) lying 45 km (28 mi) off Land’s End. The islands’ position produces a place of great contrast; the ameliorating effect of the sea, greatly influenced by the North Atlantic Current, means they rarely have frost or snow, which allows local farmers to grow flowers well ahead of those in mainland Britain. The chief agricultural product is cut flowers, mostly daffodils. Exposure to Atlantic winds also means that spectacular winter gales lash the islands from time to time. This is reflected in the landscape, most clearly seen on Tresco where the lush Abbey Gardens on the sheltered southern end of the island contrast with the low heather and bare rock sculpted by the wind on the exposed northern end. Natural England has designated the Isles of Scilly as National Character Area 158. As part of a 2002 marketing campaign, the plant conservation charity Plantlife chose sea thrift (Armeria maritima) as the “county flower” of the islands. In 1975 the islands were designated as an Area of Outstanding Natural Beauty. 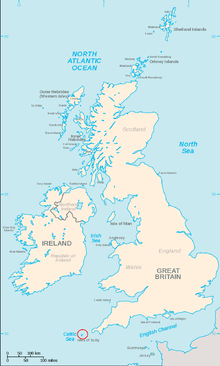 The designation covers the entire archipelago, including the uninhabited islands and rocks, and is the smallest such area in the UK. The islands of Annet and Samson have large terneries and the islands are well populated by seals. The Isles of Scilly are the only British haunt of the lesser white-toothed shrew (Crocidura suaveolens), where it is known locally as a “teak” or “teke“. The tidal range at the Isles of Scilly is high for an open sea location; the maximum for St Mary’s is 5.99 m (19.7 ft). Additionally, the inter-island waters are mostly shallow, which at spring tides allows for dry land walking between several of the islands. Many of the northern islands can be reached from Tresco, including Bryher, Samson and St Martin’s (requires very low tides). From St Martin’s White Island, Little Ganilly and Great Arthur are reachable. Although the sound between St Mary’s and Tresco, The Road, is fairly shallow, it never becomes totally dry, but according to some sources it should be possible to wade at extreme low tides. Around St Mary’s several minor islands become accessible, including Taylor’s Island on the west coast and Tolls Island on the east coast. From Saint Agnes, Gugh becomes accessible at each low tide, via a tombolo. The Isles of Scilly has a temperate Oceanic climate (Köppen climate classification Cfb), and has one of the mildest climates in the United Kingdom. The average annual temperature is 11.8 °C (53.2 °F) in comparison to London, where it is 11.6 °C (52.9 °F). Winters are among the warmest in the country due to the moderating effects of the ocean, and despite being on exactly the same latitude as Winnipeg in Canada, snow and frost are extremely rare. Summers are not as warm as on the mainland. The Scilly Isles are one of the sunniest areas in the southwest with on average 7 hours per day in May. The lowest temperature ever recorded was −7.2 °C (19.0 °F) and the highest was 27.8 °C (82.0 °F). The maximum snowfall was 23 cm (9 in) on 12 January 1987. It has never recorded a temperature below freezing between May and November. Saint Piran’s Cross, the flag of Cornwall. The Isles of Scilly were one of the Hundreds of Cornwall, and although they have been administratively separate since 1890, they are still part of the ceremonial county of Cornwall. Historically, the Isles of Scilly were administered as one of the hundreds of Cornwall, although the Cornwall quarter sessions had limited jurisdiction there. For judicial purposes, shrievalty purposes, and lieutenancy purposes, the Isles of Scilly are “deemed to form part of the county of Cornwall”. 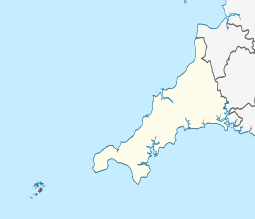 The archipelago is part of the Duchy of Cornwall – the duchy owns the freehold of most of the land on the islands and the duke exercises certain formal rights and privileges across the territory, as he does in Cornwall proper. The Local Government Act 1888 allowed the Local Government Board to establish in the Isles of Scilly “councils and other local authorities separate from those of the county of Cornwall”… “for the application to the islands of any act touching local government.” Accordingly, in 1890 the Isles of Scilly Rural District Council (the RDC) was formed as a sui generis unitary authority, outside the administrative county of Cornwall. Cornwall County Council provided some services to the Isles, for which the RDC made financial contributions. 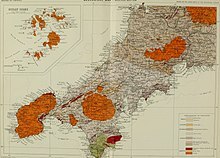 The Isles of Scilly Order 1930 granted the Council the “powers, duties and liabilities” of a county council. Section 265 of the Local Government Act 1972 allowed for the continued existence of the RDC, but renamed as the Council of the Isles of Scilly. With a total population of just over 2,000, the council represents fewer inhabitants than many English parish councils, and is by far the smallest English unitary council. As of 2015, 130 people are employed full-time by the council to provide local services (including water supply and air traffic control). These numbers are significant, in that almost 10% of the adult population of the islands is directly linked to the council, as an employee or a councillor. The Council consists of 21 elected councillors — 13 of whom are returned by the ward of St Mary’s, and two from each of four “off-island” wards (St Martin’s, St Agnes, Bryher, and Tresco). The latest elections took place on 2 May 2013; all 20 elected were independents (one seat remained vacant). The Scillonian Cross flying above St Mary’s Church in Hugh Town. The flag of the Council of the Isles of Scilly, which incorporates the council’s logo and represents the council. An adapted version of the old Board of Ordnance flag has also been used, after it was left behind when munitions were removed from the isles. The “Cornish Ensign” (the Cornish cross with the Union Jack in the canton) has also been used. Education is available on the islands up to age 16. There is one school, the Five Islands School, which provides primary schooling at sites on St Agnes, St Mary’s, St Martin’s and Tresco, and secondary schooling at a site on St Mary’s. Secondary students from outside St Mary’s live at a school boarding house (Mundesley House) during the week. In 2004, 92.9% of pupils (26 out of 28) achieved five or more GCSEs at grade C and above, compared to the English average of 53.7%. Sixteen- to eighteen-year-olds are entitled to a free sixth form place at a state school or sixth form college on the mainland, and are provided with free flights and a grant towards accommodation. Suitably qualified students after age eighteen attend universities and colleges on the mainland. Today, tourism is estimated to account for 85% of the islands’ income. The islands have been successful in attracting this investment due to their special environment, favourable summer climate, relaxed culture, efficient co-ordination of tourism providers and good transport links by sea and air to the mainland, uncommon in scale to similar-sized island communities. The majority of visitors stay on St Mary’s, which has a concentration of holiday accommodation and other amenities. Of the other inhabited islands, Tresco is run as a timeshare resort, and is consequently the most obviously tourist-oriented. Bryher and St Martin’s are more unspoilt, although each has a hotel and other accommodation. St Agnes has no hotel and is the least-developed of the inhabited islands. Tourism is also a highly seasonal industry owing to its reliance on outdoor recreation, and the lower number of tourists in winter results in a significant constriction of the islands’ commercial activities. However, the tourist season benefits from an extended period of business in October when many birdwatchers (“birders”) arrive. Scilly is responsible for many firsts for Britain, and is particularly good at producing vagrant American passerines. If an extremely rare bird turns up, the island will see a significant increase in numbers of birders. This type of birding, chasing after rare birds, is called “twitching“. The predominance of tourism means that “tourism is by far the main sector throughout each of the individual islands, in terms of employment… [and] this is much greater than other remote and rural areas in the United Kingdom”. Tourism accounts for approximately 63% of all employment. 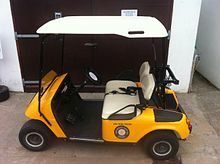 An electric golf buggy on St Mary’s; these are road licensed and available for hire, as are bicycles, for use on public roads on the island. St Mary’s is the only island with a significant road network and the only island with public highways; in 2005 there were 619 registered vehicles on the island. The island also has taxis and a tour bus. Vehicles on the islands are exempt from annual MOT tests. Roads and streets across Scilly have very few signs or markings, and route numbers (of the three A roads on St Mary’s) are not marked at all. Air access to the islands is via St Mary’s Airport. Fixed-wing aircraft services, operated by Isles of Scilly Skybus, operate from Land’s End, Newquay and Exeter. The scheduled helicopter service, which previously linked Penzance Heliport with St Mary’s Airport and Tresco Heliport, ceased at the end of October 2012. A new heliport is currently under construction in Penzance and helicopter services to Tresco and St Mary’s are expected to commence in 2019 or 2020. By sea, the Isles of Scilly Steamship Company provides a passenger and cargo service from Penzance to St Mary’s, which is currently operated by the Scillonian III passenger ferry, supported until summer 2017 by the Gry Maritha cargo vessel and now by the Mali Rose. The other islands are linked to St. Mary’s by a network of inter-island launches. St Mary’s Harbour is the principal harbour of the Isles of Scilly, and is located in Hugh Town. The freehold land of the islands is the property of the Duchy of Cornwall (except for Hugh Town on St Mary’s, which was sold to the inhabitants in 1949). The duchy also holds 3,921 acres (16 km2) as duchy property, part of the duchy’s landholding. All the uninhabited islands, islets and rocks and much of the untenanted land on the inhabited islands is managed by the Isles of Scilly Wildlife Trust, which leases these lands from the Duchy for the rent of one daffodil per year. The trust currently has four full-time salaried staff and 12 trustees, who are all residents of the Isles. The full trust board is responsible for policy whilst a management team is responsible for day-to-day administration. Its small income and the small number of staff have led to the trust adopting a policy of recruiting volunteers to help it carry out its extensive work programme. While volunteers of all ages are welcome, most are young people who are studying for qualifications in related fields, such as conservation and land management. Housing demand outstrips supply, a problem compounded by restrictions on further development designed to protect the islands’ unique environment and prevent the infrastructural carrying capacity from being exceeded. This has pushed up the prices of the few private properties that become available and, significantly for the majority of the islands’ populations, it has also affected the rental sector where rates have likewise drastically increased. According to the 2001 UK census, 97% of the population of the islands are white British, with nearly 93% of the inhabitants born in the islands, in mainland Cornwall or elsewhere in England. Since EU enlargement in 2004, a number of eastern Europeans have moved to the island, joining the Australians, New Zealanders and South Africans who traditionally made up most of the islands’ overseas workers. By 2005, their numbers were estimated at nearly 100 out of a total population of just over 2,000. The Isles have also been referred to as “the land that crime forgot”, reflecting lower crime levels than national averages. One continuing legacy of the isles’ past is gig racing, wherein fast rowing boats (“gigs”) with crews of six (or in one case, seven) race between the main islands. Gig racing has been said to derive from the race to collect salvage from shipwrecks on the rocks around Scilly, but the race was actually to deliver a pilot onto incoming vessels, to guide them through the hazardous reefs and shallows. (The boats are correctly termed “pilot gigs”). The World Pilot Gig Championships are held annually over the May Day bank holiday weekend. The event originally involved crews from the Islands and a few crews from Cornwall, but in the intervening years the number of gigs attending has increased, with crews coming from all over the South-West and further afield. The Isles of Scilly feature what is reportedly the smallest football league in the world, the Isles of Scilly Football League. The league’s two clubs, Woolpack Wanderers and Garrison Gunners, play each other 17 times each season and compete for two cups and for the league title. The league was a launching pad for the Adidas “Dream Big” Campaign in which a number of famous professional footballers (including David Beckham) arrive on the island to coach the local children’s side. The two share a ground, Garrison Field, but travel to the mainland for part of the year to play other non-professional clubs. There is a golf club with a nine-hole course (each with two tees) situated on the island of St Mary’s, near Porthloo and Telegraph. The club was founded in 1904 and is open to visitors. The islands are served by a radio and television transmitter at Telegraph, on St Mary’s, which is a relay of the main transmitter at Redruth (Cornwall) and broadcasts BBC Radio 1, 2, 3, 4 and BBC Radio Cornwall and the range of Freeview television and BBC radio channels known as ‘Freeview Light’. Radio Scilly, a community radio station, was launched in September 2007. Internet access is available across the inhabited islands by means of superfast fibre broadband by BT. The islands connected via fibre are St. Mary’s, Tresco and Bryher. St. Martins, St. Agnes and Gugh are connected via a new fibre microwave link from St. Mary’s, with fibre cabinets on each island, including Gugh. Mobile phone coverage is available across the archipelago, with 2G, 3G and 4G services available across all islands, although coverage does vary between operators. Vodafone and O2 provide strong 4G coverage across all the islands, whilst EE‘s is somewhat limited beyond Gugh towards St. Agnes. Three provide 3G coverage to all the islands, and 4G is due shortly. The heroine of Walter Besant‘s novel Armorel of Lyonesse came from Samson, and about half the action of the novel takes place in the Isles of Scilly. The events of Nevil Shute‘s novel Marazan occur, in part, around these islands. Five children’s books written by Michael Morpurgo, Why the Whales Came, The Sleeping Sword, The Wreck of the Zanzibar, Arthur, High King of Britain and Listen to the Moon are set around the Isles of Scilly. In Jacob’s Room, by Virginia Woolf, the hero and a friend of his sail around the islands. Scilly is mentioned in the traditional British naval song “Spanish Ladies“. Scilly is mentioned in the song “Phenomenal Cat” by The Kinks on their album The Kinks are the Village Green Preservation Society. Isles of Scilly is a song by the Icelandic artist Catmanic. Saint Lide was a bishop who lived on the island of St Helen’s in the Isles of Scilly. ^ Jump up to: a b “Isles of Scilly ethnic groups”. Office for National Statistics. Retrieved 6 December 2012. Jump up ^ “Isles of Scilly”. Ramsar Sites Information Service. Retrieved 25 April 2018. Jump up ^ “UK Census Data 2011”. UK Census Data. Retrieved 9 June 2015. Jump up ^ ‘The Drowned Landscape’ by Charles Thomas. ^ Jump up to: a b Thorgrim. “Nornour”. Retrieved 18 November 2009. Jump up ^ “Scilly’s Unique Inter Island Walk Sets Off This Morning”. Scilly Today. Retrieved 9 June 2015. Jump up ^ “Priscillianus and Priscillianism”. Dictionary of Christian Biography and Literature to the End of Sixth Century. Retrieved 11 December 2010. Jump up ^ Henderson, Charles (1925). The Cornish Church Guide. Truro: Oscar Blackford. p. 194. Jump up ^ “Petitioners: Abbot and convent of Tavistock. Addressees: King and council”. The National Archives. Retrieved 2014-11-25. Jump up ^ Banerjee, D.; et al. (1 December 2001). “Scilly Isles, UK: optical dating of a possible tsunami deposit from the 1755 Lisbon earthquake”. Quaternary Science Reviews. 20 (5–9): 715–718. Bibcode:2001QSRv…20..715B. doi:10.1016/s0277-3791(00)00042-1. Retrieved 30 March 2015. Jump up ^ History – British History in depth: British Slaves on the Barbary Coast. BBC. Retrieved on 2017-09-29. Jump up ^ UK Retail Price Index inflation figures are based on data from Clark, Gregory (2017). “The Annual RPI and Average Earnings for Britain, 1209 to Present (New Series)”. MeasuringWorth. Retrieved 6 November 2017. Jump up ^ Scheffel, Richard L.; Wernet, Susan J., eds. (1980). Natural Wonders of the World. United States of America: Reader’s Digest Association, Inc. p. 340. ISBN 0-89577-087-3. Jump up ^ “County flower of Isles of Scilly”. Plantlife International – The Wild Plant Conservation Charity. Archived from the original on 18 March 2007. Retrieved 7 April 2006. Jump up ^ “Climatological Normals of St. Mary’s Heliport 1981–2010”. Climatological Information for United Kingdom and Ireland. Met Office]. Retrieved 28 December 2014. Jump up ^ “Extreme Temperatures Around the World- world highest lowest recorded temperatures”. mherrera.org. Jump up ^ “St Mary’s Heliport Climatic Averages 1981–2010”. Met Office. December 2010. Retrieved 29 December 2012. Jump up ^ Hiemstra, John F.; et al. (February 2006). “New evidence for a grounded Irish Sea glaciation of the Isles of Scilly, UK”. Quaternary Science Reviews. 25 (3–4): 299–309. Bibcode:2006QSRv…25..299H. doi:10.1016/j.quascirev.2005.01.013. Retrieved 29 March 2015. Jump up ^ Scourse 1991, J.D. “Late Pleistocene Stratigraphy and Palaeobotany of the Isles of Scilly”. Retrieved 29 March 2015. Jump up ^ “Around the Duchy – Isles of Scilly”. Duchy of Cornwall. Archived from the original on 25 February 2012. Retrieved 5 October 2012. Jump up ^ “Isles of Scilly Order 1930” (PDF). The National Archives. Jump up ^ “Isles of Scilly Cornwall through time”. visionofbritain.org.uk. Retrieved 19 January 2007. Jump up ^ “Isles of Scilly RD Cornwall through time”. visionofbritain.org.uk. Archived from the original on 6 May 2007. Retrieved 19 January 2007. Jump up ^ Examples include the Health and Social Care Act 2003, section 198 and the Environment Act 1995, section 117. Jump up ^ “Council of the Isles of Scilly Corporate Assessment December 2002” (PDF). Audit Commission. Retrieved 21 January 2007. Jump up ^ “Welcome to the Isles of Scilly Area of Outstanding Natural Beauty (AONB)”. Isles of Scilly Area of Outstanding Natural Beauty (AONB). Retrieved 9 June 2015. Jump up ^ “Welcome to the Isles of Scilly Inshore Fisheries and Conservation Authority”. Isles of Scilly IFCA. Jump up ^ “Cornwall devolution: First county with new powers”. BBC News Online. 2015-07-16. Retrieved 27 August 2015. ^ Jump up to: a b c “Isles of Scilly (United Kingdom)”. fotw.net. Retrieved 16 January 2007. Jump up ^ “How Do You Get A Scillonian Cross”. Scilly Archive. Archived from the original on 11 April 2013. Retrieved 16 January 2007. Jump up ^ “Isles of Scilly – The Flag Institute”. The Flag Institute. Retrieved 25 July 2017. Jump up ^ “Cornwall (United Kingdom)”. fotw.net. Archived from the original on 17 January 2007. Retrieved 16 January 2007. Jump up ^ School and College Achievement and Attainment Tables 2004 Archived 14 June 2008 at the Wayback Machine. Department for Education and Skills; retrieved 31 July 2010. Jump up ^ “Travel: Living in a world of their own: On the shortest day of the year, Simon Calder took the high road to Shetland and Frank Barrett took the low road to the Scillies, as Britain’s extremities made ready for Christmas”. The Independent. London. 24 December 1993. Jump up ^ “A Sustainable Energy Strategy for the Isles of Scilly” (PDF). Council of the Isles of Scilly. November 2007. pp. 13, 21. Archived from the original (PDF) on 18 January 2012. Retrieved 21 August 2010. Jump up ^ “Travel Information”. ScillyOnLine. Retrieved 10 May 2012. Jump up ^ “Skybus Timetables”. Skybus. Archived from the original on 16 November 2013. Retrieved 8 September 2014. Jump up ^ “Isles of Scilly Helicopter from Penzance Heliport”. Penzance Heliport. Retrieved 2018-09-26. Jump up ^ “Isles of Scilly Travel – Travel by sea”. Isles of Scilly Travel. Retrieved 17 January 2007. Jump up ^ Sandy Mitchell (May 2006). “Prince Charles not your typical radical”. National Geographic. National Geographic Society. pp. 96–115, map ref 104. Retrieved 26 September 2010. Jump up ^ “Isles of Scilly”. Duchy of Cornwall. Retrieved 8 June 2017. 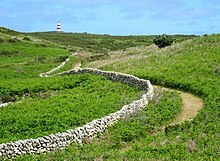 In particular, The Isles of Scilly Wildlife Trust, which manages around 60 per cent of the area of the Isles, including the uninhabited islands, plays an important role in protecting wildlife and their habitats. The Trust pays a rent to the Duchy of one daffodil per year! Jump up ^ “Isles of Scilly – Country of Birth”. Office for National Statistics. Retrieved 6 December 2012. Jump up ^ “East Europeans in the Isles of Scilly”. The Guardian. 23 January 2006. Retrieved 6 December 2012. Jump up ^ Mawby, R.I. (2002). “The Land that Crime Forgot? Auditing the Isles of Scilly”. Crime Prevention and Community Safety. 4: 39–53. doi:10.1057/palgrave.cpcs.8140122. Retrieved 29 March 2015. Jump up ^ Rick Persich; Chairman World Pilot Gigs Championships Committee. “World Pilot Gig Championships – Isles of Scilly”. Retrieved 26 September 2010. Jump up ^ Beth Hilton (30 October 2007). “Beckham and Gerrard make surprise visit”. Scilly News. Archived from the original on 11 April 2013. Retrieved 26 September 2010. Jump up ^ “Active People Survey – national factsheet appendix”. Sport England. Archived from the original (Microsoft Excel) on 15 March 2007. Retrieved 16 January 2007. Jump up ^ “Isles of Scilly Golf Club”. Archived from the original on 31 May 2015. Retrieved 9 June 2015. Jump up ^ “ukfreetv-Full-Freeview vs Freeview Light: map”. Jump up ^ “Scilly Today”. Jump up ^ “This is Scilly – Isles of Scilly News & Information”. Jump up ^ “An Island Parish”. BBC. Retrieved 16 January 2007. Jump up ^ “Former Methodist Minister Returns For Visit”. The Scillonian. 8 July 2015. Retrieved 11 August 2016. Jump up ^ Jordan, Colin; England, David. “Stone in the Blood”. Amazon.co.uk. Retrieved 11 October 2017.